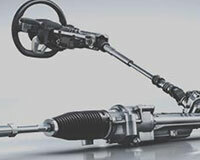 We are your most reliable online source of Chevrolet C1500 parts on the web today. We are dedicated to providing you with the best service possible! Your factory parts order will be packaged professionally and shipped promptly. 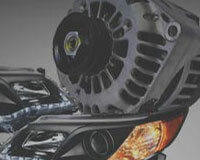 For the best variety of discounted OEM parts and accessories, always choose GM Parts Prime! Belonging to the long-running and well-known Chevrolet C/K lineup, Chevrolet C1500 was produced by an American multinational corporation General Motors Company's automobile Chevrolet Division from 1988 to 1999 as a full-size pickup truck. Originally introduced to fulfill the whole truck lineup, C1500 in its name also stuck to Chevrolet's naming convention with "C" stands for two-wheel drive, and 1500 means it weighs 3/4 ton. Since as a member of the C/K lineup, Chevrolet C1500 ended production and was replaced by the Chevrolet Silverado after being manufactured through one generation when the whole C/K lineup was out of production. Chevy C1500 was produced from 1988 to 1998 in the United States and went on sale in April 1987 as a 1988 model. It was offered in Fleetside Single Cab, Fleetside Extended Cab, Fleetside Crew Cab and Stepside Single Cable and came in three trim levels: Cheyenne, Scottsdale and Silverado. 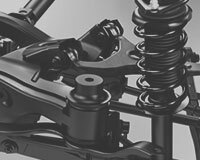 Featured independent front suspension, extensive use of galvanized steel for corrosion resistance and a fully welded frame with a boxed front section for strength and rigidity, Chevrolet C1500 was powered by a 4.3 L V6 rated 160 hp, 5.0 L V8 producing 175 horsepower, 5.7 L V8 making 210 hp, 6.2 L Diesel V8, and 7.4 L V8 generating 230 hp. And all these engines sent power through 3-speed, 4-speed automatic and 5-speed manual transmissions. First, engine failure seems to be the fate that any vehicle including Chevrolet C1500 could not get away with in use, the difference lies on if it meets it prematurely. In order to avoid the probability, you had better learn about these common symptoms to diagnose and solve it as early as possible. Normally, it often starts with impact or knocking sounds from the engine, then you will notice that the engine runs worse than before. It could misfire, stall or even suffer from starting issues. And once the cooling system begins to fail to leak coolant, all symptoms only get worse and a decrease in power, acceleration and fuel economy is the consequence. 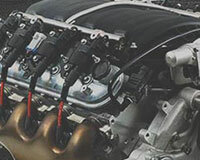 Thus, once the Check Engine Light in your C1500 comes on, please inspect the C1500 engine mount, cooling hose, radiator hose, throttle cable, EGR valve, EGR filter, timing cover, intake manifold, intake manifold gasket, coolant reservoir, air filter and thermostat gasket. 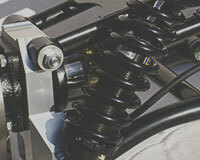 Second, suspension and transmission issues are also very tricky to handle with for Chevy C1500 drivers. Worse is these two problems will cause clunking or rattling sounds from underneath the vehicle, it is hard to distinguish which one is the culprit. Generally, suspension failure will also cause vehicle bottoming out, excessive road noise, uneven tire wear and poor handling, and the C1500 leaf spring insulator is often the reason. While transmission failure often results in difficulty shifting gears and vehicle jumping in and out of four-wheel drive, you should pay more attention to the working condition of C1500 transfer case seal. Taking preventative measures is always more effective to get away with fatal accidents than any reaction measures. 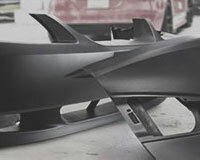 Therefore, you should take maintaining vulnerable auto parts of Chevrolet C1500 as a routine job. At first, knowing what parts need routine maintenance could save a lot of time and energy. In your C1500, some electrical parts such as A/C switch, door jamb switch, speedometer, instrument cluster, and headlight switch are always exposed to intensive usage, thus, routine maintenance on them is essential. Headlight, door handle, windshield wiper, wiper blade and emblem also should be on routine maintenance list. 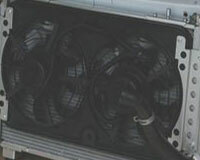 OEM Chevrolet C1500 auto parts should be at the top on your shopping list for parts replacements for your Chevy C1500. 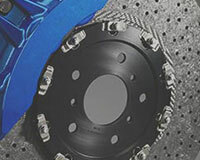 Not only precise fitment of these OEM C1500 parts could avoid extra damages caused by nonfit but also the optimum performance could bring back your C1500 to the prime condition completely. 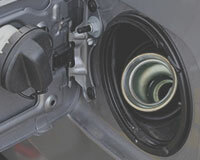 And GmPartsPrime.com holds a massive selection of lowest-priced manufacturer-warrantied genuine Chevrolet C1500 auto parts. You can shop with full confidence as all orders are also covered by hassle-free return policy and quickest delivery service.